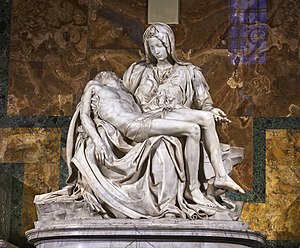 The Pieta is a statue by Michelangelo. It is now in the first temple on the right of Saint Peter's Basilica in the Vatican City. This page was last changed on 19 January 2018, at 20:49.